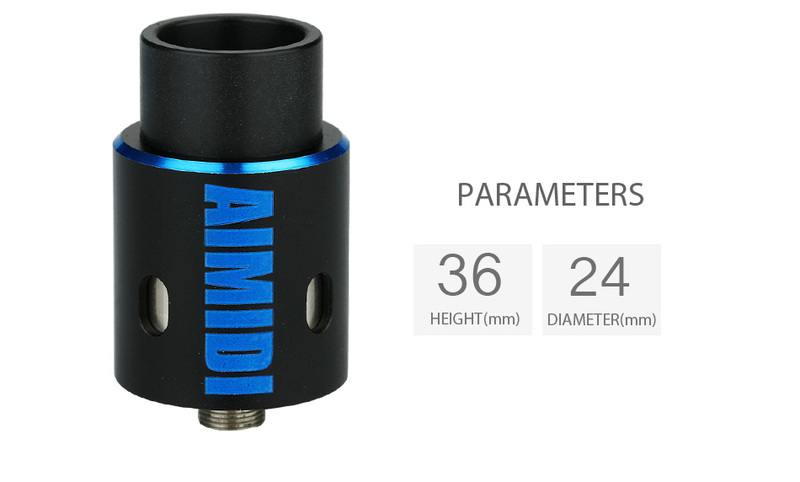 AIMIDI Vapor Tank is a 24mm elegant RDA with three types drip tips. 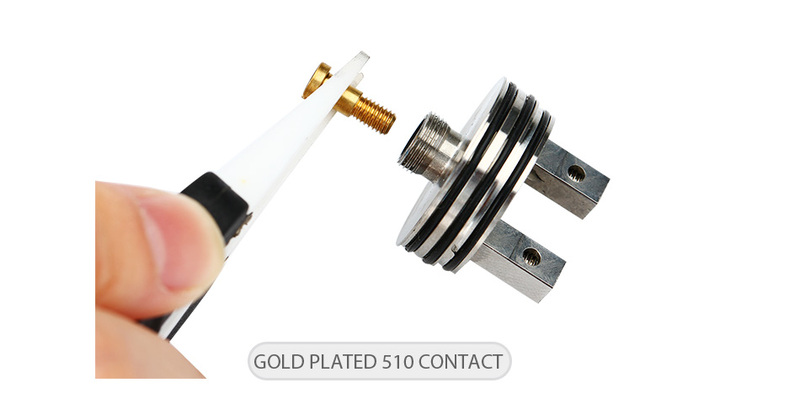 Adjustable side airflow and gold plated 510 contact. 4 colors. 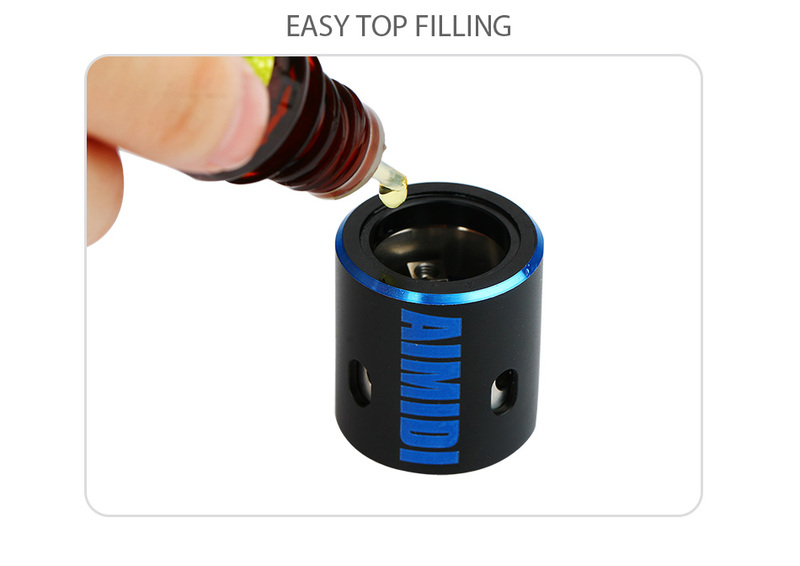 Here comes the AIMIDI Vapor Tank which is a 24mm diameter rebuildable dripper atomizer. 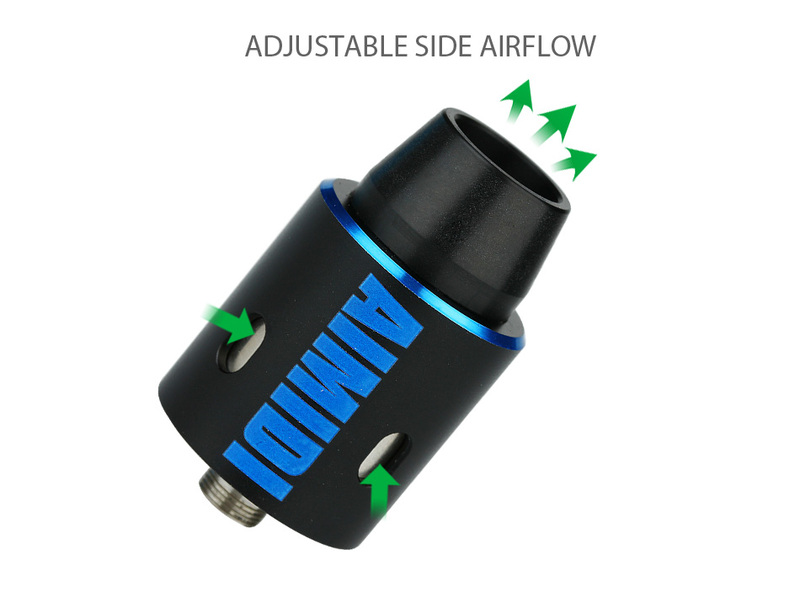 With three types drip tips, it will bring different vaping experience. Together with easy building deck, adjustable side airflow and gold plated 510 contact, the Vapor RDA will bring you excellent vaping experience with huge vapor and nice flavor! Best choice for DIY fans. 4 colors for your selection.